I want to wallmount my TV, what do I need? First things first, you need to think about how mobile your TV needs to be once it's mounted; will it be flat against the wall, tilting forward or pulling and swinging out? Once you've worked this bit out it's just a case of choosing the right bracket for the size of your TV. 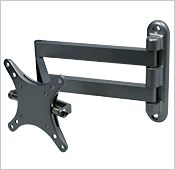 We stock a range of brackets that fit practically any television, as well as ceiling mounts for projectors, but if you can't find the right solution on our website or in store, be sure to ask your local team who will be happy to look into special order options for you. In almost all cases, yes! You're not just paying for designer looks and fancy materials, a lot of thought goes into making sure TV stands and hi-fi racks are both practical and offer a performance advantage too. Cable management, for example, means you can neatly tidy away your cables to avoid unsightly spaghetti behind your equipment. The right stand can also bring about an improvement in performance. The idea is that a better stand not only gives a more stable platform for equipment, but also absorbs any vibrations, however small, produced by equipment without transmitting it to another. This is accomplished either by making the shelf out of specialised materials or using spikes on the base. 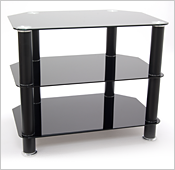 Ultimately, a quality rack ensures that your system doesn't just look its best, it sounds it too! You may be wondering why we refer to 'standmount' speakers when these are commonly known as 'bookshelf' speakers. The answer is very simple; they sound better on a stand than a bookshelf! Dedicated speaker stands absorb excess vibrations from your speakers that would normally colour the performance, leading to a somewhat muddled sound. 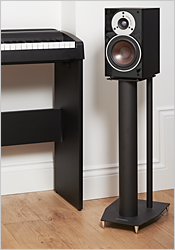 Your speakers sound clean and clear - with defined bass that doesn't overpower - and a more pronounced stereo effect. We stock a range to fit both different sizes of speakers and different preferences for sound quality, so be sure to ask for a demo at your local shop! There's a lot of misinformation out there in terms of speaker cables and interconnects. Sometimes there are wild claims of dramatic transformations in performance and, on the other side, claims that they make no difference whatsoever. Like many things, the truth lies somewhere in between. Upgrading your leads can be a great way to bring a new lease of life to an ageing system, or to simply ensure you're getting the absolute best out of a new one. Don't forget it's not just your cables, the rack/stand your system and speakers are placed on, and even your mains extension lead, all have a bearing on the sound. Other than accessories, the biggest impact on performance is the room your system's in. If you have lots of hard surfaces, high ceilings and square walls, it's likely to sound shrill and imprecise. Soft furnishings, such as rugs and heavy curtains, can absorb reflected sound so what you hear is cleaner and more distinct. If you want to know more about how to make your system shine then give your local store a call or pop down for a chat. Don't forget we can take care of installation too. A common bugbear people have with their television set-up is all the different remotes that go with it. Even a relatively modest set-up could still leave you with four or more different zappers. You'll be pleased to know it's not a difficult job. Nearly all equipment now uses HDMI leads to connect, which is effectively the digital replacement for SCART. One of the many great features of this new interface is 'HDMI Control' which enables your devices to talk to one another through the cable. For example, a TV remote control can also control a Blu-ray player and soundbar connected by HDMI. For the most part this works perfectly, however, if your set-up differs from what the system expects it can become difficult to manage and you may still have to use more than one remote. 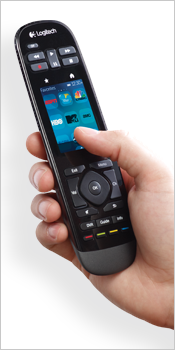 Universal remote controls are a much safer bet as many come with a guarantee that they'll work with all devices! The best models have online set-up, enabling you to customise the remote so that it always does the right thing. These do take a little longer to configure, but it's always well worth it. Ask us about installation and we can program it as part of the service. There's another new exciting option on the cards though one that may not cost you a penny! Loads of new equipment, including TVs, Blu-ray players, AV receivers and network audio players, come with free apps, usually for both Apple and Android, which turn your smartphone or tablet into a swanky touchscreen controller. Sound a bit too techy? Visit your nearest branch to see for yourself how easy and intuitive it is. What are the differences between HDMI cables? 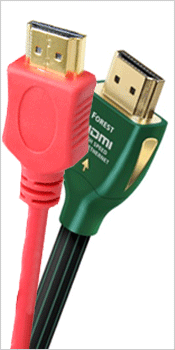 HDMI Standard: These cables will reliably transmit 1080i or 720p video. HDMI High Speed: These cables will reliably transmit resolutions of 1080p and above including 4K, with the ability to handle 3D, Deep Color and higher refresh rates. HDMI Standard/ High Speed with Ethernet: Offering the same level of capability as the normal variants with the included ability to handle Ethernet functionality when connected to compatible devices. It is important to note that when a cable is certified it is tested against a strict criteria with specific components, this guarantees a certain level of performance. It however does not inhibit a cable from performing beyond its specifications. We stock HDMI cables from a variety of manufacturers, many of whom pride themselves on using only the best materials and exceptional build quality to ensure the highest level of performance. 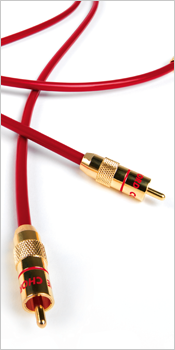 This naturally lends them to creating cables that often exceed the required specifications of the set HDMI standards. HDMI is a resilient standard with robust error handling capabilities. An HDMI cable will either work or it won't. A poor or failing HDMI cable will exhibit symptoms such as your TV not displaying an image or presenting a 'No Signal' error, it can also show a partial image or sparkles (white dots on the image). These are all signs that the cable is faulty or not fit for purpose. When installing cables or using longer runs it is advisable to purchase a cable that has been tested and guaranteed to work at the required lengths. The longer a cable is, the higher the resistance and thus a higher chance of signal issues. In order to guarantee a high level of performance, many manufacturers will opt to use higher quality cables, sometimes thicker, with better insulation to keep signal loss to a minimum. Some newer cables also incorporate an active chip built into the cable construction, either discreetly in the head shell of the connector or in the middle of the cable, this addition helps to maintain the signal integrity over longer cable runs. If you’ve encountered poor Wi-Fi signal at home you’ll understand just how frustrating it can be. Websites taking a long time to load, videos forever buffering and complete dropouts in signal altogether are just some of the problems that a poor signal causes. With a Powerline adaptor or a Wi-Fi range extender you can easily eradicate this inconvenience and enjoy a continuous strong connection without dead zones, no matter if you’re in the basement or the attic. Wi-Fi range extenders simply power up, connect to your existing network and send the signal further to reach weak spots in your home. Some models can transfer as much as 1.2Gbps of data and come with an Ethernet socket for directly connecting devices such as a Blu-ray player, TV or a games console. Wireless is fine, but sometimes a wired connection is necessary for 4K Ultra HD video or Hi-Resolution music streaming, and online gaming. Powerline adaptors provide a steady connection by using your existing electrical wires to transfer data. Simply plug the adaptor into your power socket and connect your device or computer using a network cable to have access to a strong, constant signal. Don’t let a poor signal affect your home entertainment. Take a look at our range of Wi-Fi range extenders and Powerline adaptors and enjoy a great signal wherever you are at home today!